The tour starts in one of the most important, but most ignored neighbourhoods in the history of Rome: the Jewish Ghetto. 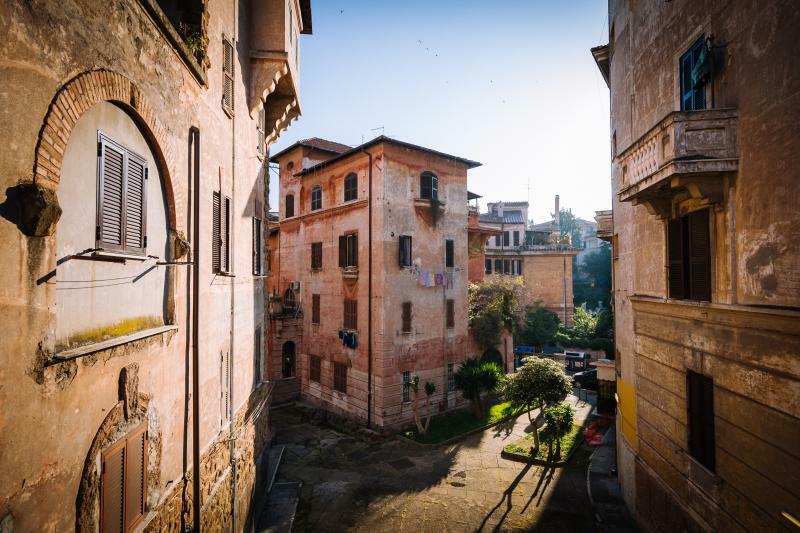 Existing since 1555, this neighbourhood was integral to the development of regional foods and Roman culture and still contains such landmarks as the Teatro Marcello, a.k.a. the Jewish Colosseum. Next, we make two quick stops at the famous Mouth of Truth (stick your hand in and tell a lie if you dare) and the giant Circus Maximus, the ancient chariot racing arena. Then we leave the city in search of the most frequented thoroughfare in Ancient Rome, the Appian Way or Via Appia Antica. You’ll stroll down the original paving stones as your expert guide tells stories of the thriving empire that once clogged this great road every day. From the veneration of Emperor Augustus to the crucifixion of Spartacus, this road is played a central role in many of Rome’s greatest events. Just like visitors to Ancient Rome, Your trip outside the walls will take you past the Park of the Aqueducts. Here you can gape at the giant structures that once provided Rome with fresh, running water on demand. You’ll also see the famous Baths of Caracalla which channelled water from the aqueducts into a public bathing area that accommodated over 1,600 people at a time. Don’t get too busy soaking up all that history, you’ll need to take advantage of a few photo ops. Perhaps the best in the city is the Janiculum hill that’s home to the finest views of Rome. A picture here will be the envy of all your friends. Along with Rome’s coolest optical illusion and a few other secret gems, we want to show you a part of the city that most visitors never see. With an expert English speaking guide, a driver to chauffeur you in an air-conditioned, private vehicle, and a small group of no more than 15 people, you’ll really be experiencing the city as an insider.